These eco-friendly dishwasher tablets are made with powerful plant based ingredients to cut through difficult baked on stains leaving your dishes brilliantly clean. With no harsh chemicals there is no chance of nasty chemical residue, and the fast dissolving soluble wrapper reduces waste. This pack of 65 cruelty free dishwasher tablets offer an eco-friendly alternative to dishwashing, still performing at a high standard with anti-grease action and shine function for glass, cutlery and metals. 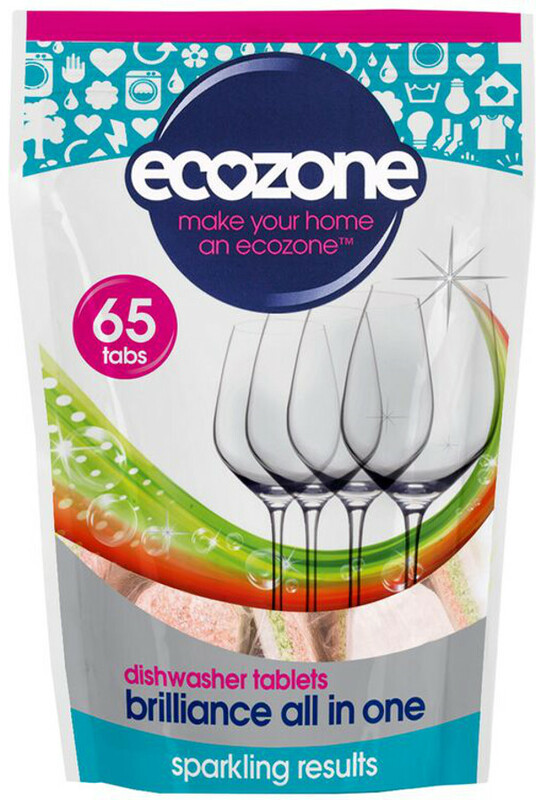 The Ecozone Brilliance All in One Dishwasher Tablets - 65 product ethics are indicated below. To learn more about these product ethics and to see related products, follow the links below. Great wash for dishes and no wrapper! 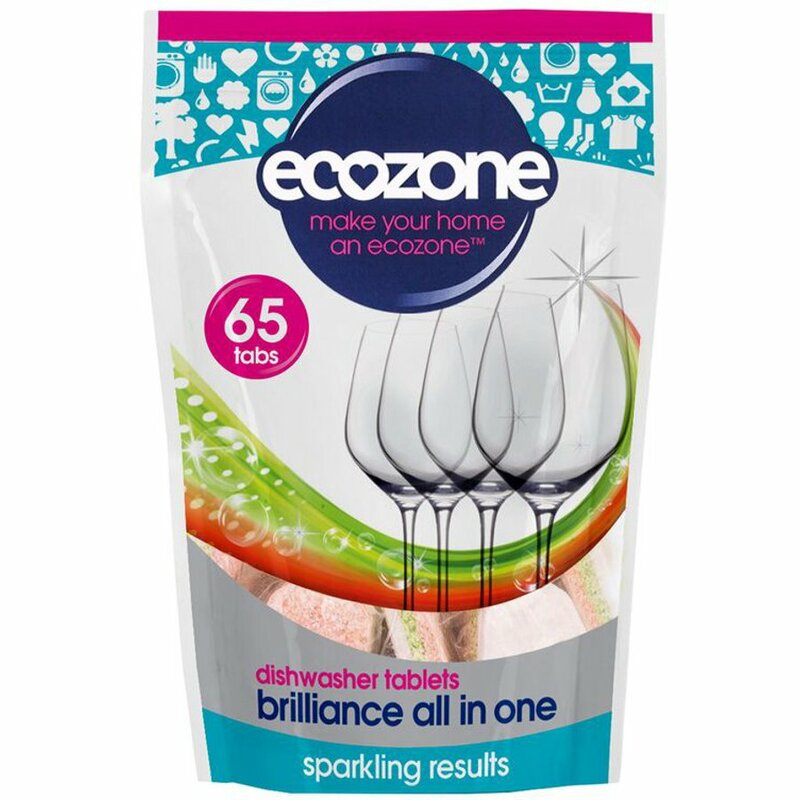 There are currently no questions to display about Ecozone Brilliance All in One Dishwasher Tablets - 65.